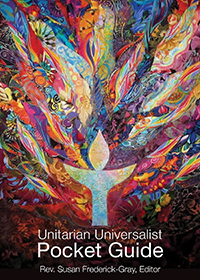 Membership Classes: Explore the UU history and principles in a series of three classes led by Rev. Barnaby Feder and Marjorie Carsen every Fall and Spring for those exploring membership at CVUUS. There is written homework. For the last class, each prisoner will be writing a “Credo” statement of what they believe about these and other spiritual issues, much the way our young people do for their Coming of Age Program. If you would like to take this course along with the prisoners, please contact Rev. Barnaby. Reading Lists include books about UUism, Transcendentalism, and other spiritual topics. Many books are available from the CVUUS Library.